He concentrates his practice in Corporate and Commercial Law, Energy and Natural Resources, Engineering, Construction and Infrastructure, Financing and Real Estate. He has also vast experience in Corporate Governance matters, Compliance and Strategic Business Planning. Mr. Barroilhet has represented different local and foreign clients in the development of its projects in Chile, including mayor energy, insurance, mining, financing, consultancy and construction, and real estate companies. 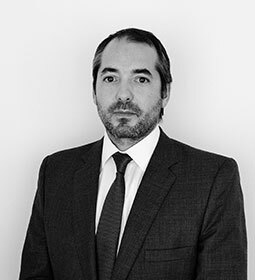 Mr. Barroilhet has also a strong knowledge and a recognized career in the capital markets and financial sector, as well as in the energy and infrastructure sector. Likewise, he has advised and been director of listed corporations and regulated companies in Chile. Mr. Barroilhet is founder and member of the board of the Chilean Czech Chamber of Commerce. Mr. Barroilhet is admitted to practice in Chile. J.D., Universidad de los Andes, 2007. MBA, ESE Business School, Universidad de los Andes, 2017, Alumni Scholarship. Advance Diploma in Energy Market Regulation, School of Electrical Engineering at Universidad de Chile, 2011.